To the north of Nan along Highway No. 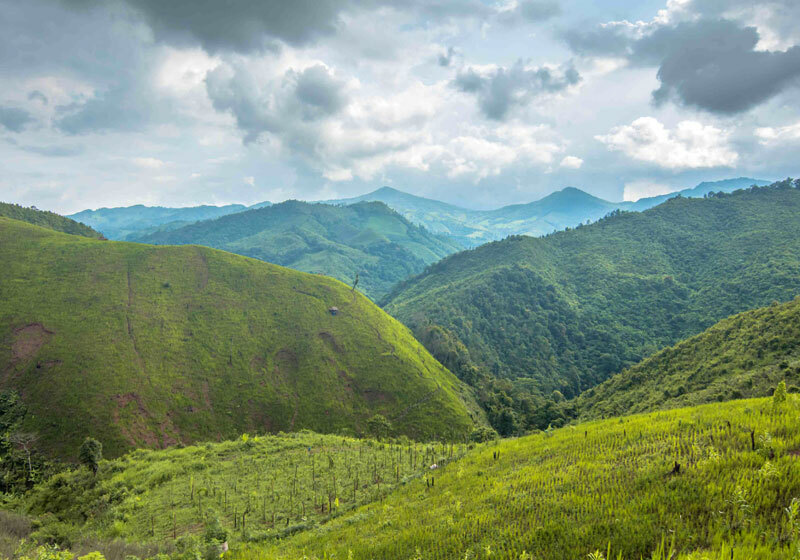 1080 in Nong Bua district and with a further distance of 25 kilometres on the route to Bo Kluea district lies the Doi Phu Kha National Park. The terrain is mainly forested lands on limestone mountain ranges, the source of several streams which merge into the Nan River. The elevation is about 1,900 metres above sea level. Here are found several rare and near-extinct floras, particularly the Chomphu Phu Kha, whose pink flowers are in full bloom during February. In the morning, a sea of mist can be seen drifting across the valley. There are also several scenic waterfalls. Permits to camp can be applied for. Alternatively, tourists may choose to utilise the accommodation services in the park. Short Description: Doi Phu Kha National Park covers a part of 8 districts in the Luang Prabang Range, Nan Province, Northern Thailand and has rich natural resources.